The head of HMD Global products, Juho Sarvikas, recently announced on his twitter account that all HMD Nokia phones including the low end Nokia 3 will receive the Android 8 Oreo update. "All of our smartphones will upgrade to Oreo, Nokia 3 included. No comments yet on timing so that I don't get into trouble. 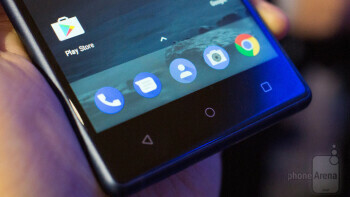 If you have been following up, then this news shouldn't really be a surprise to you as Google mentioned sometime ago that current Nokia manufacturer HMD Global and other companies are "scheduled to be launching or upgrading new devices to Android 8.0 Oreo. The only thing Google didn't mention then was if all HMD Nokia phones will receive the update or just a few selected models. Even though we are now sure that the Android powered Nokia phones will be receiving the Android 8 Oreo update, no official date was mentioned. But since the current Nokia Android phones run on almost stock version of Android, the updates should be available pretty soon as little modifications will be made. Also, Nokia already promised that users should expect at least two years of OS update support. which means that the new Nokia smartphones should receive the next major Android update as well.